I first came across Kyushu-based niche beauty brand Satamisaki Organics in Japanese drugstore retailer Ainz & Tulpe’s Shinjuku East outlet this October (you can read my article about the company’s fabulous new Tokyo flagship store here!). 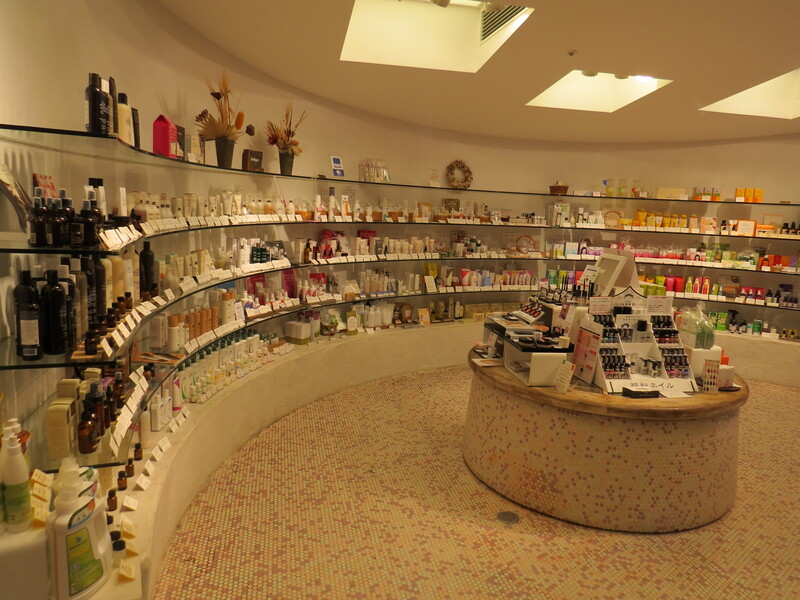 Ainz & Tulpe has a special section on the first floor that is dedicated to local beauty brands from across Japan. Another interesting store which Julia from Beautyjagd and I visited last week was Beauty Library in Omotesando, just off Aoyama-dori street. 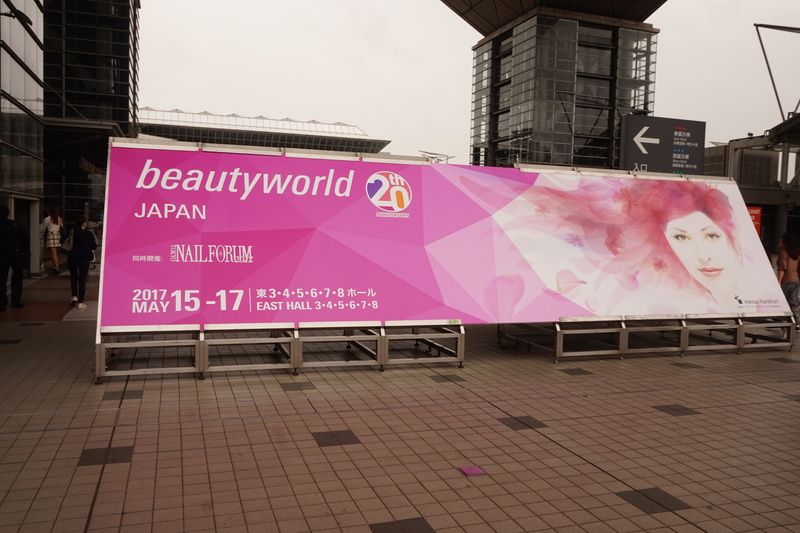 Beauty Library opened in June 2015 and is run by Japanese beauty company Nature’s Way. The retail concept for Beauty Library was created by renowned Japanese design agency Nendo: a concept store presenting organic and natural cosmetics like library information, with an attached café serving healthy foods and beverages. And Beauty Library is indeed a beautiful store with a generous glass-fronted entrance, plenty of light and free-standing wooden product shelves that really do look a bit like library shelves. I arrived in Tokyo a couple of days ago and it’s lovely to be back! It’s also turning into a busy week again: Tokyo Design Week starts in a few days – look out for a show review soon! – and I’ve already started to check out my favourite beauty stores to see what’s been happening in the last six months. 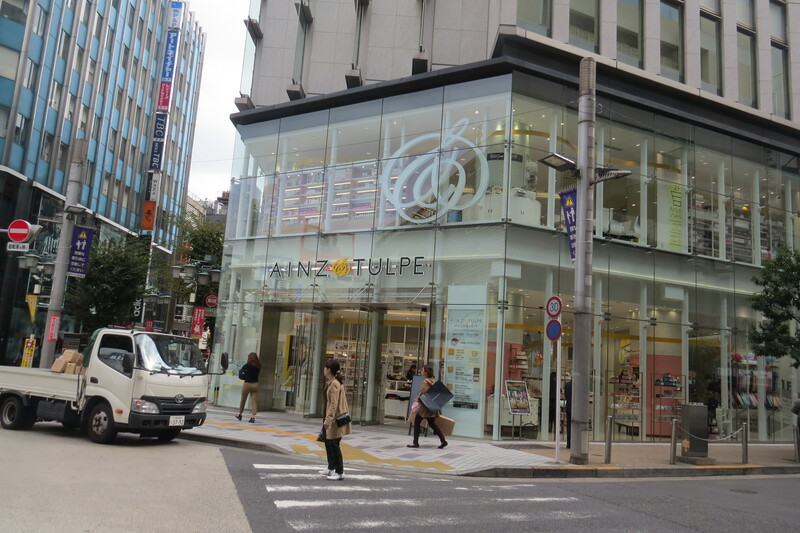 My friend Julia from organic blog Beautyjagd is also in Tokyo at the moment and she suggested we visit the new Ainz & Tulpe drugstore across from the East Exit of Shinjuku Station. Which is what we did – and what a fabulous store it turned out to be! 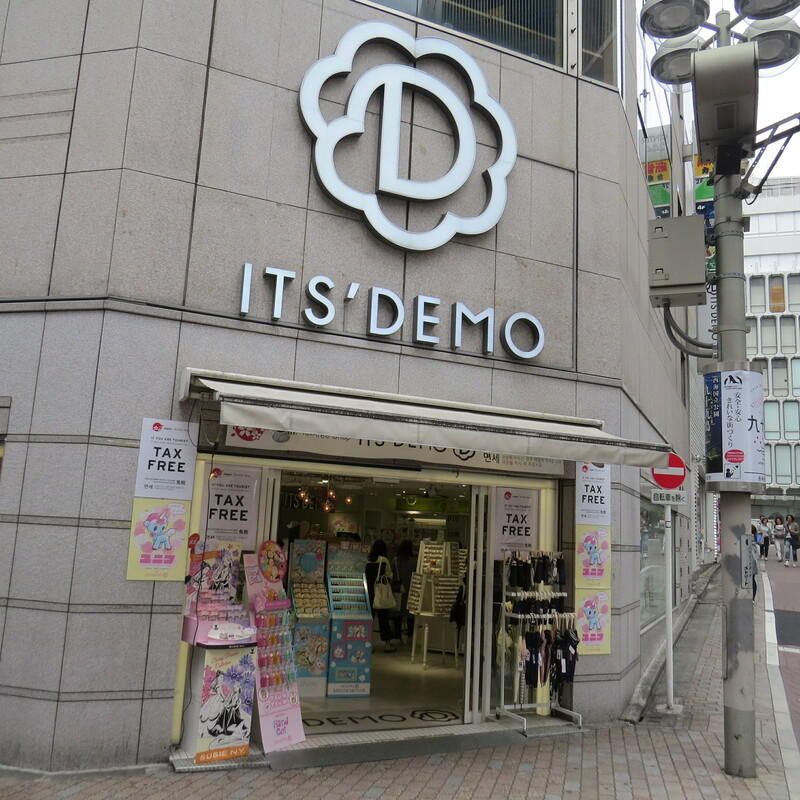 During my last visit in Tokyo I had checked out a couple of smaller Ainz & Tulpe outlets in Shinjuku and Shibuya. Yes, I did notice the difference to the traditional Japanese drugstore retailers like Sun Drug, Matsumoto Kiyoshi etc. – Ainz & Tulpe stores are much more stylish with good product presentation and a modern store layout – but other than that the chain didn’t leave a lasting impression. However, the chain’s new Shinjuku store is in a different league altogether. It was opened in July 2015 and is quite spectacular – three floors with a total retail space of 1,290 sq m. Located opposite the East Exit of Shinjuku station, close to Lumine Est department store, Ainz & Tulpe’s new Tokyo flagship offers a fabulous selection of Japanese and international beauty brands, gadgets, fragrances and something that I’ve only seen at Tokyu Hands so far: regional cosmetics from Japan. Click on the link below for a pictorial tour of the store and more info on the Ainz & Tulpe chain. If you’re interested in organic cosmetics, a visit to Cosmekitchen (Mash Beauty Lab) is practically mandatory. 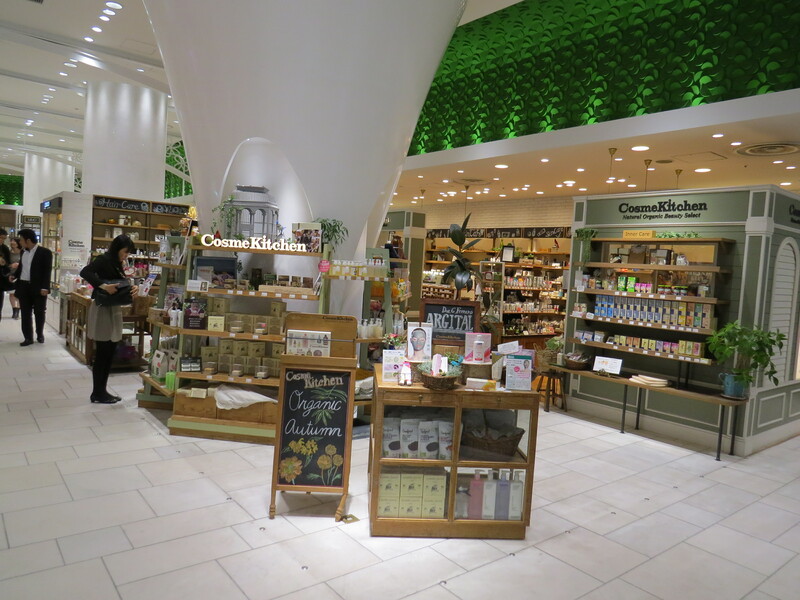 It is Japan’s biggest organic beauty store chain: the first Cosmekitchen store opened in 2004 and the company currently operates 30 outlets across Japan. The majority of the stores are in the Kanto area on Honshu island. 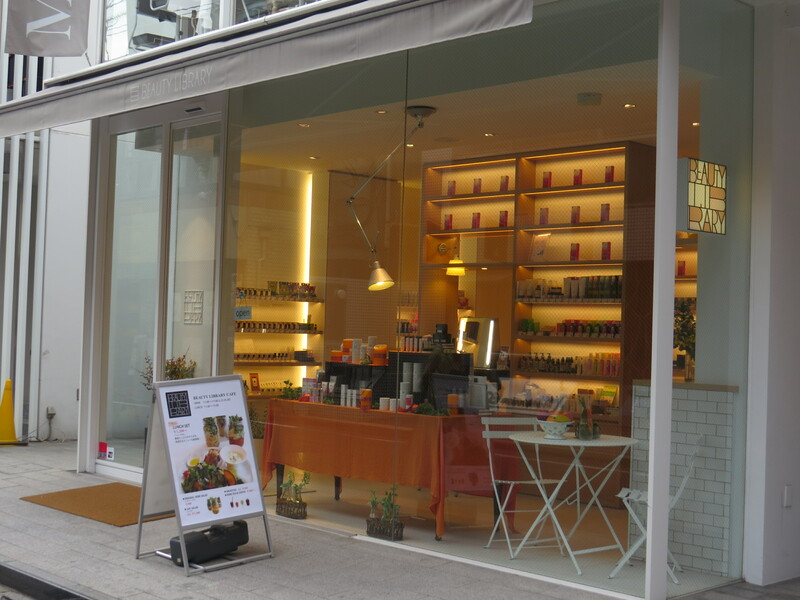 Although the organic beauty market in Japan is growing constantly, I think it is still primarily an urban trend – I noticed that Cosmekitchen stores seem to be mostly located in larger cities. 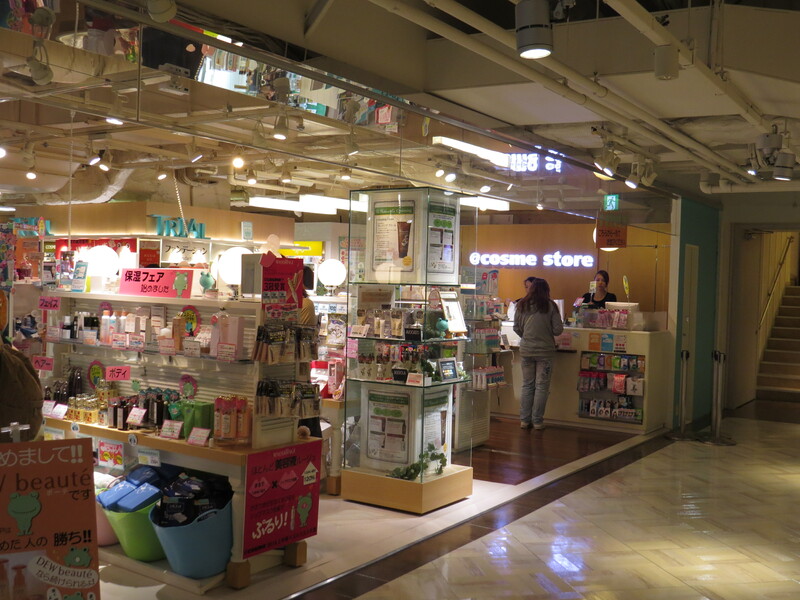 The retailer’s outlets are usually shop-in-shop areas that are based in department stores; in Tokyo, for example, five of the Cosmekitchens are situated in outlets of the Lumine department store chain. There is a Japanese store chain which is even more focused on the trend aspect of FMCG retail than @cosme. RanKingRanQueen sells cosmetics, confectionery, beverages and books strictly according to what the three top-sellers are in each category. There are four RanKingRanQueen stores in Japan; two in Tokyo, one in Yokohama and one store in Osaka. The stores are located in busy train stations since this is where commuter traffic and especially the trend-driven younger consumers (the main target demographic of the store chain!) congregate. 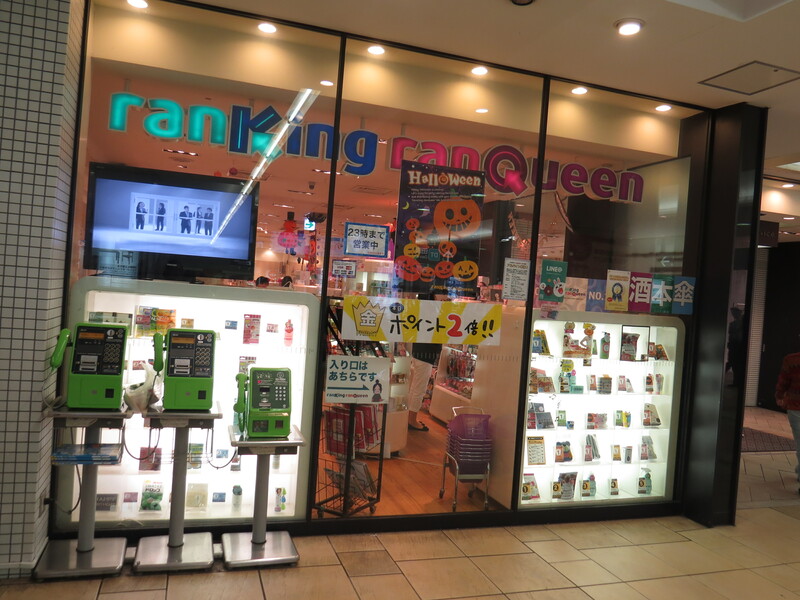 I visited the RanKingRanQueen store in Yokohama – it’s located in Azamino station (one of the stops on the Tokyu Den-en-toshi line from Shibuya) directly opposite the main ticket gates. On the list of my must-see stores in Tokyo was an intriguing-sounding shop in the Western parts of the city: Hansel & Gretel (yes, the store is indeed named after the Grimm Brothers’ famous fairy tale!) is located in the affluent suburb of Seijo. I was eager to see the stores of @cosme, a Japanese beauty chain with a retail concept that is strongly driven by social media network. The @cosme approach is an ingenious merger of online and offline retail. 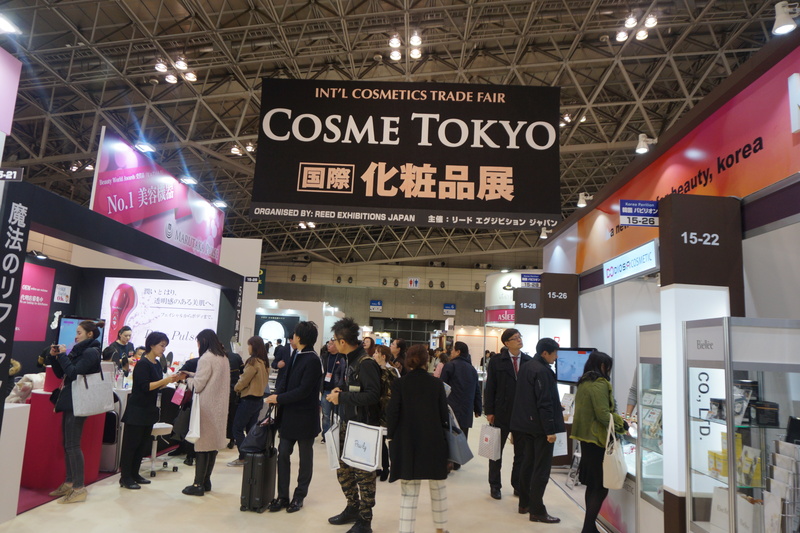 @cosme is Japan’s largest cosmetics online store and it is also the country’s biggest virtual beauty community. The company’s websites are www.cosme.com and www.cosme.net so every Japanese Internet user who searches for anything to do with cosmetics ends up at @cosme sooner or later. @cosme’s main target group are consumers aged 16-25 which means that the website and its online community are hugely influential in the trend-driven teen and young adult consumer demographic in Japan. @cosme’s very successful retail venture actually started with a simple review website: cosme.net was launched in 1999 and became popular very quickly. In 2001, the company behind @cosme (marketing agency iStyle), launched online store cosme.com. @cosme sells an extensive range of Japanese, Asian and Western mass market, masstige and premium brands. Whether you are looking for a Japanese face mask, a Korean eyelash lotion or Chanel’s latest whitening face serum, it is all available on @cosme.